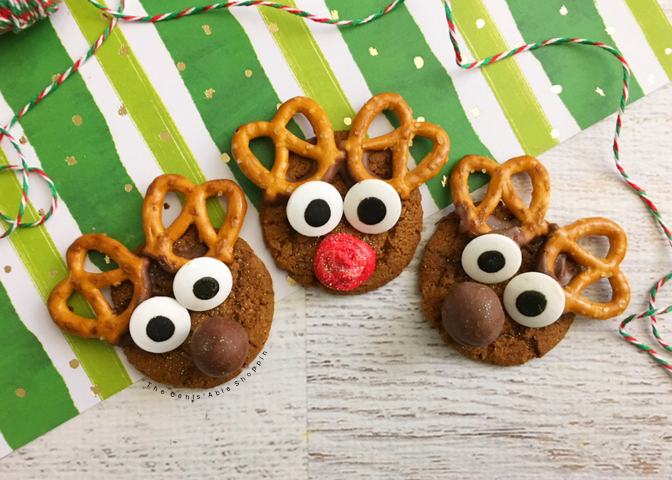 These adorable Gingersnap Reindeer Cookies are the perfect way to celebrate the Holiday Season and even better to gift to family and friends! No Christmas is complete without decorating cookies with your kids. Even if you are watching your figure this year and avoiding the temptation of sweets, who says you have to eat them? I know, it’s so hard when you are watching your figure, but everything in moderation — right? If anything, it’s fun to make a few batches. Pick up some plastic Christmas containers from the store and separate your cookies into 2 or 3 batches. 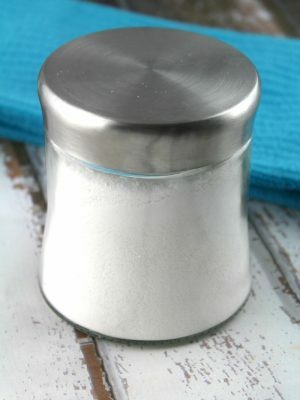 Tie up those containers and gift them to friends and family. Or go a step further, and “elf” your neighbor. 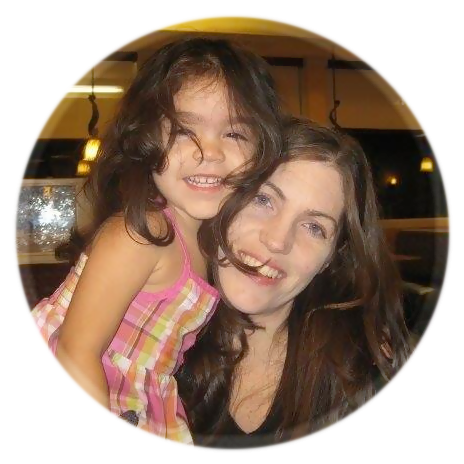 Have you ever “elfed” a neighbor? It’s something my kids love to do every year and it gives us a reason to make these fun cookies to share. 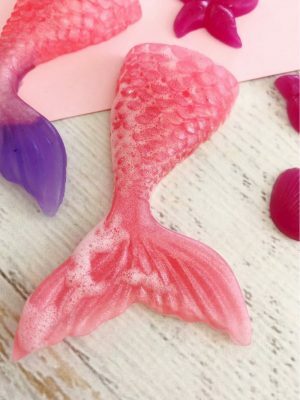 These cookies are certain to bring a smile to anyone who receives – who wouldn’t think these were adorably cute? These cookies start with a simple gingersnap. Pick up your favorite in store, or go a step further and use a homemade ginger cookie recipe. Our favorite ginger cookies are grain-free and gluten-free and would be a perfect fit. Pick up some large candy eyes, pretzel twists, candy melts, malted milk balls (think Whoppers), red frosting, and edible glitter. The kids will have a great time putting them together. Of course, you’ll want to be there to help, because I’m certain that more might go in their mouth than on the cookies. Don’t like gingersnaps? 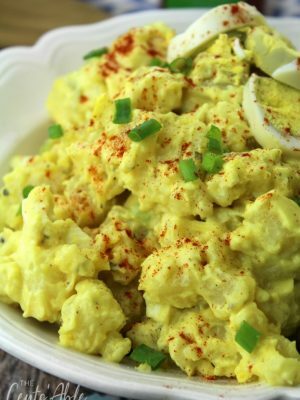 You could even do these with brownies. Instead of cutting brownies in squares, use a small glass to cut them into circles. 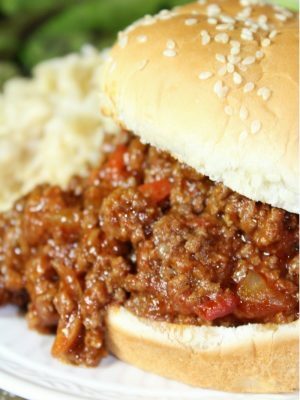 Make sure you frost generously before adding your extras. 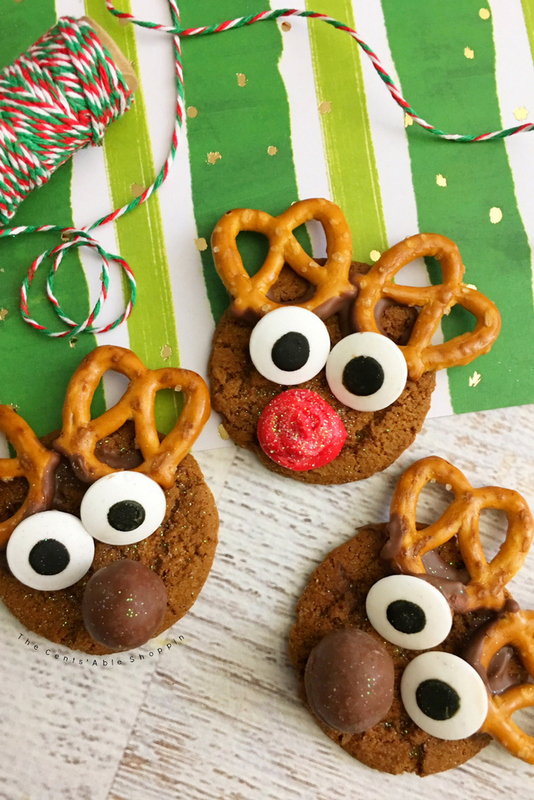 Add these to your list of must make holiday cookies, and pair them with these Reindeer Treat Bags for a fun gift you can pass along to the kids and their friends this year, too! A festive way to dress up your favorite gingersnap or ginger holiday cookie! In a small microwave safe bowl, heat your candy melts on 50% power for 2 to 3 minutes, stirring every 30 seconds until melted. 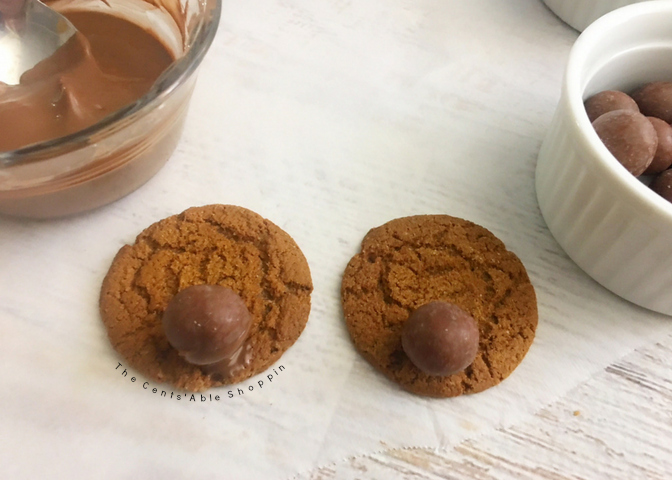 Dip the bottom of a malted milk ball into your melted chocolate and onto the bottom of your ginger cookie (do this to half of your cookies). 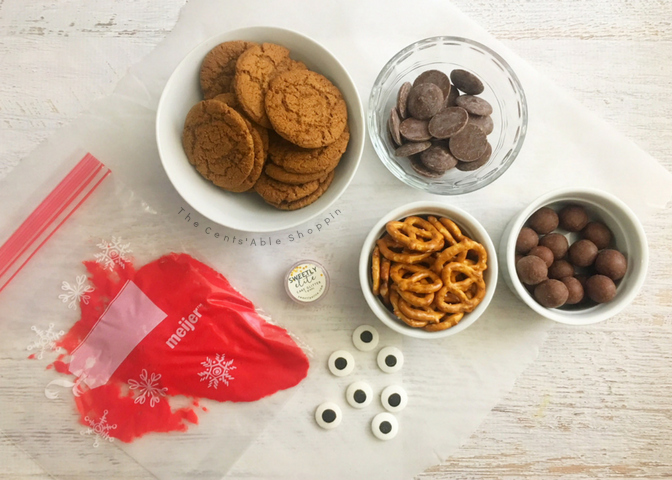 Dip the bottom of the pretzel twist into your melted chocolate and place on the top of your ginger cookies. 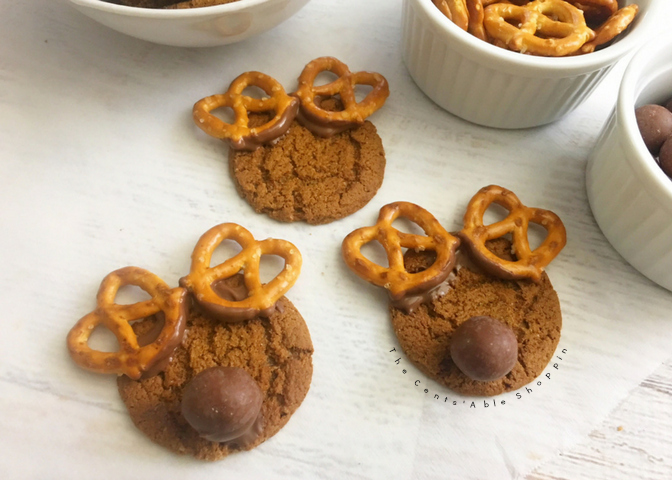 Dip the back of two candy eyes into your melted chocolate and place below your pretzel twist antlers. 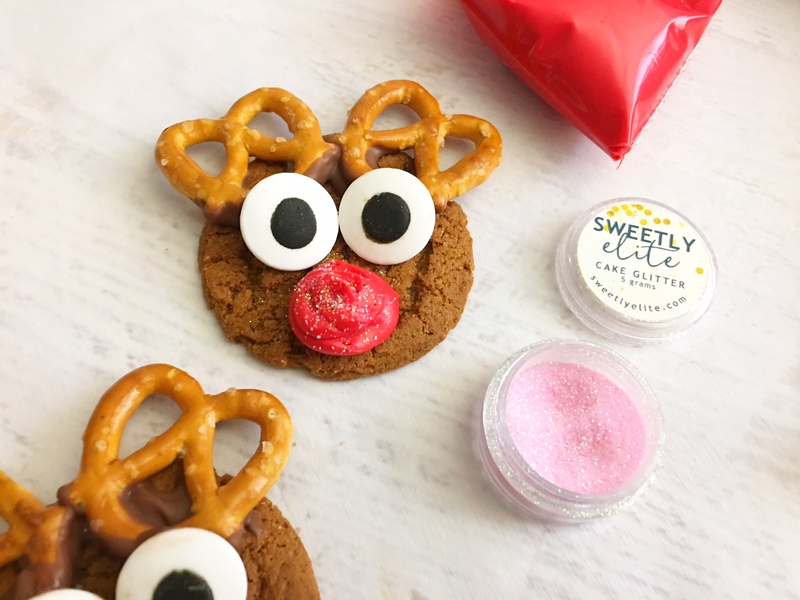 Now use your red frosting bag to draw a circle Rudolph nose underneath the candy eyes to the cookies that do not have a malted milk ball. Sprinkle a pinch of edible pink glitter onto your red noses. Let your cookies set for about 15 minutes and enjoy!